Let's celebrate your Spring Race Success! Bring your medal, don your race shirt, share your photos, run and walk then EAT WAFFLES! 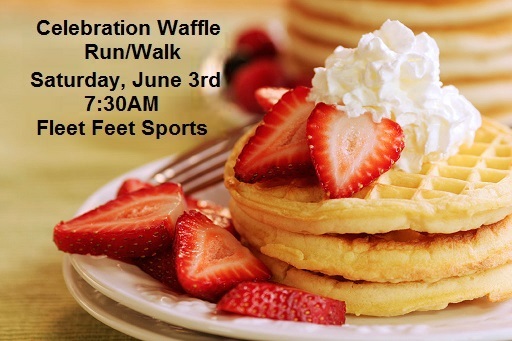 Join us for the Celebratory Waffle Run/Walk on Saturday, June 3rd at Fleet Feet Sports at 7:30AM for a 3, 5 or 8 mile route option followed by scrumptious waffles with toppings, of course!